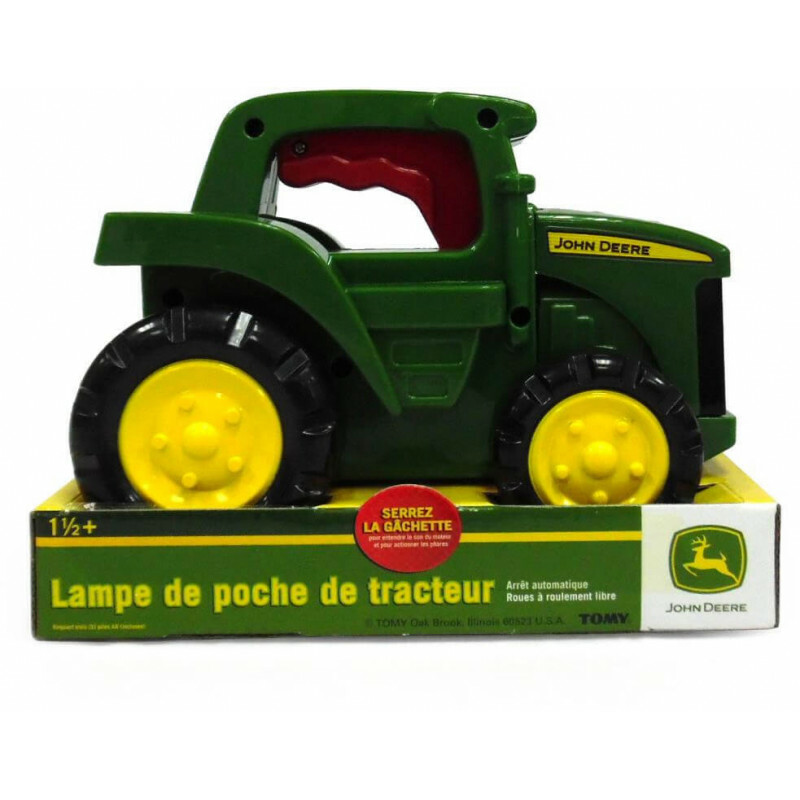 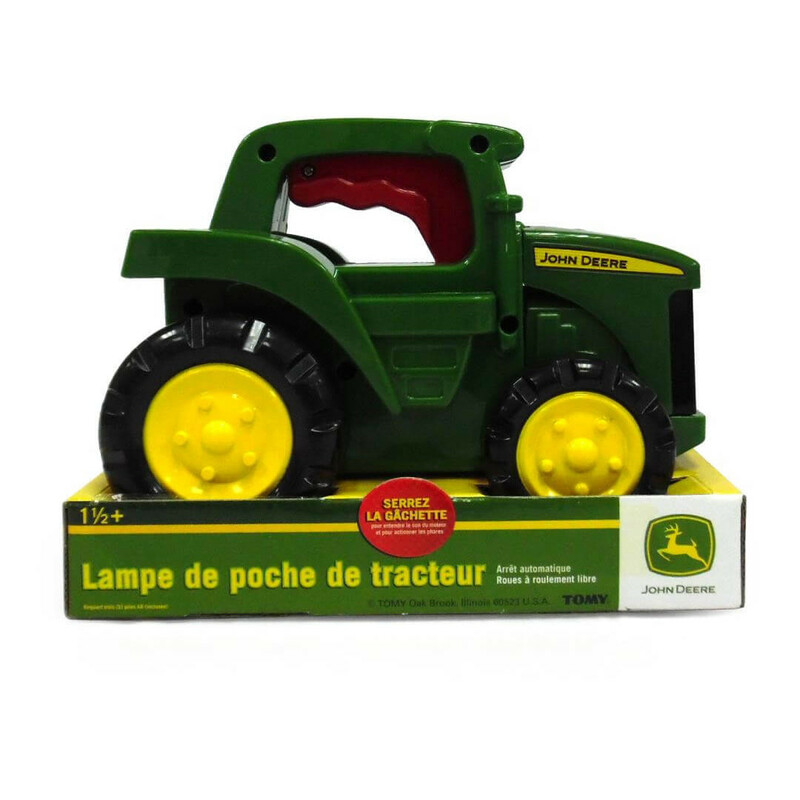 Young John Deere fans will love this tractor flashlight. A simple squeeze of the trigger activates engine sounds and turns on the light. 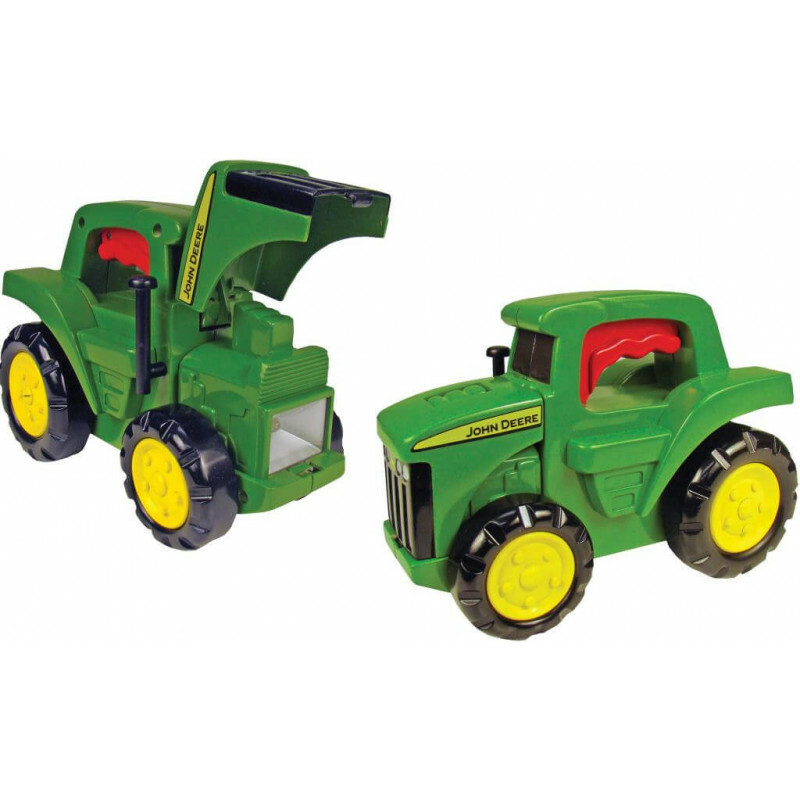 Free rolling wheels for additional play value. 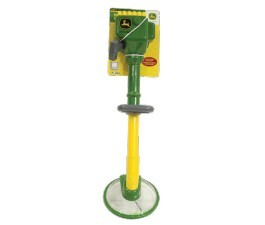 Auto light shutoff.